Easily create your own MIDI controller with Brain v2. Brain V2 contains the Brain with a connected Bus Board for simple connectivity. Connect up to 128 buttons, 192 LEDs, and 64 analog controls. Components are easily connected with ribbons cables and we’ve created the Omni Board to allow dozens of layouts with a single circuit board. 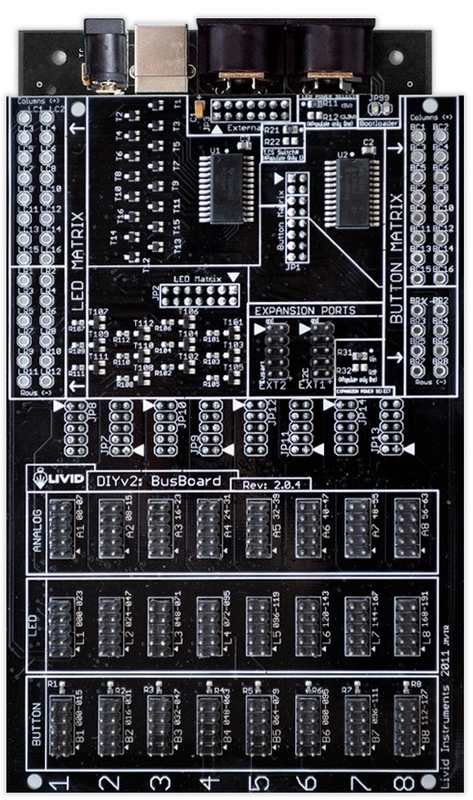 Brain v2 supports faders, rotary potentiometers, arcade buttons, rubber buttons, LEDs, RGB LEDs, LED rings, encoders, velocity sensitive pads, accelerometers, and more. Please note this item ships within 5-7 business days of purchase. See the Brain V2 Integration Guide to find detailed instructions and the Brain V2 Configuration Software.